This is one book that you really need to read even if you do not go on to implement all the ideas in it. Simply reading and internalising some of Tim Ferriss's attitudes, ideas and approaches to life will change the way you see things forever. Tim coins a model called DEAL: Decide, Eliminate, Automate, Liberate. If you crunch the numbers, the amount of monthly income you need to support that lifestyle may not be as high as you think. For example, if you spread the cost of a car over several months. Or you can pay the cost of travel to another country then offset it by living on less per day in that country. The next step is to eliminate a whole series of things that hold you back. You need to stop doing your least important work/tasks. You need to spend more time working from home. You need to remove negative people from your life. And you should eliminate possessions you don't need. Once you are focused on only your important tasks, projects you can work on automating your income and less important parts of your life. Virtual assistants can take low value tasks off your plate and you can set up automated businesses online (here Tim practically invents the dropshipping business model which is now a very popular method of passive income). In the final "liberate" step, you need to ensure you can step away from your businesses and work tasks. Can you work entirely remotely? Can you allow your automated businesses in the previous steps to run themselves without too much intervention? 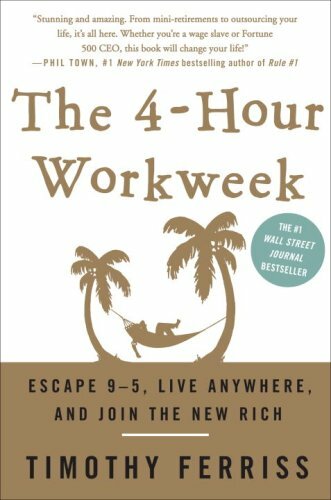 Does this allow you to work only 4 hours per week? Have you tried any of these steps and had success? Start the discussion on this book in the comments below.